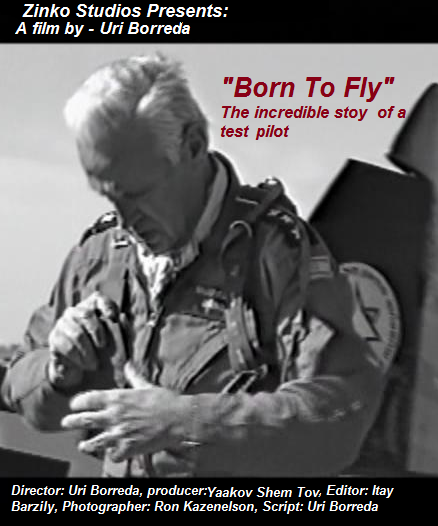 "Born to Fly" tells the story of Danny Shapira, an exceptional pilot and an extraordinary personality. His story is intertwined with the history of Israel and the history of the Israeli Air Force. Shapira's aviation accomplishments include a lot of firsts: he was a graduate of the first fighter pilots course, the first Israeli test pilot, the first Western pilot to fly a Russian MIG-21, the first Israeli pilot who flew the speed of Mach-2 and one of just a few pilots to fly a Mirage with a rocket motor. Shapira participated in secret operations with the Israeli Mossad, bringing fighter planes from France to Israel. And as chief test pilot for the Israel Aircraft Industries, he was a partner in the development of the first Israeli fighter plane - the "Nesher", followed by the "Kfir". Danny's log book records thousands of daring flights, from some he barely came back! He has flown over a hundred types of aircraft, landing some of them in strange places like mountaintops or beaches in Africa and South America. "Luck was my co- pilot", he says. Shapira's two sons are pilots. Ronen is an F-15 pilot and is currently the chief test pilot for the Israeli Aerospace industry. Oded is an F-16 pilot and a Captain at the EL AL Airlines. Both these young men grew up under the influence of the best pilot in the State of Israel.